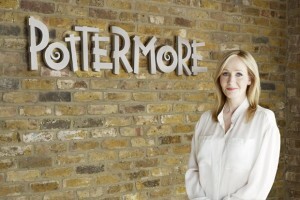 When it hit the internet in 2011, Pottermore was near revolutionary. It was interactive fan fiction, written and sanctioned by the author herself; taking the world of the books outward in an “official” capacity, rather than allowing fans to extrapolate freely where they could see open doors and unfinished threads. The major drawcard of the site was (the aforementioned) new content from JK Rowling, giving greater insight into characters, events and objects from the books. Fans of the books could be sorted into a house by a “real” Sorting Hat quiz, rather than relying on fan-made ones to determine whether they were more Gryffindor or Ravenclaw. The site promoted itself as a safe haven for young Potter fans, requiring parental consent for users under 13 and ensuring no personal information was given through a user’s profile. 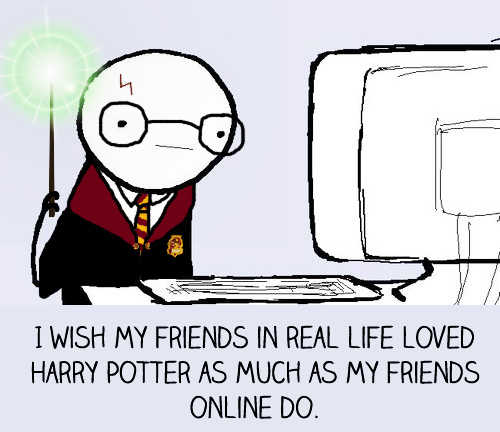 The social networking aspects of the site didn’t become fully realised until July 2013, when new features allowed users to comment on every section of the website (from JK Rowling’s original content, to the interactive pages devoted to each chapter of the books), chat with other members of their house, submit fan art and post status updates. 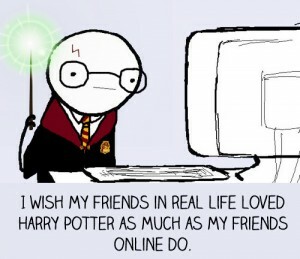 Once established, the comments section became a place for fans to interact as themselves, or as role players (pretending to be Hogwarts students). Despite taking multiple precautions to ensure a safe, G-rated site (for example, banning the use of numbers – so people couldn’t share phone numbers – and certain words, introducing a reporting function), some role players integrated sexual references into their roleplay (“unicorning” being the euphemism of choice). Other role players would describe the injuries sustained from duels in graphic detail. People began to use nicknames (placed at the end of their posts), rather than just their randomly generated usernames, for ease of identification. 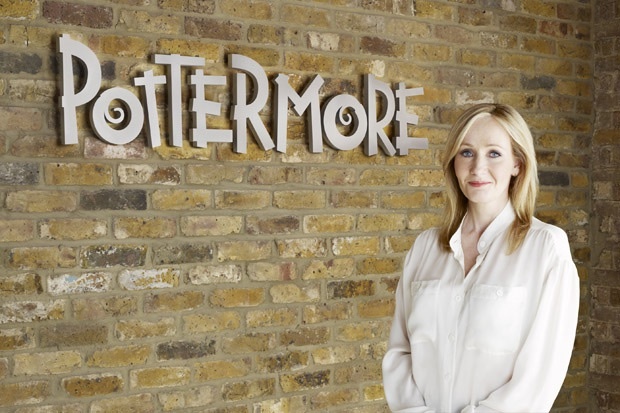 In April 2015, the social networking features of Pottermore were pulled. The Pottermore team said that they felt these features weren’t serving the community, and they were unable to effectively monitor comments, statues and comments as user activity increased. The sudden loss of these features was met with dismay by many users, who had no way to contact the friends they’d made on the site and enjoyed interacting with on a daily basis. This may look like a case study of the pitfalls of social networking more generally, but I’d argue that it makes a better case for why smaller, independently governed social networks tend to be more successful for niche interest groups – particularly fandoms. Bringing the entire Potter fandom together in a single space without roping off sections for role play, chapter discussions etc (ie, having everyone in the same place) was always going to cause problems – if people are in a space (or a sub-space) where they understand and agree with the rules, you’re less likely to be overwhelmed by reports from users who aren’t okay with what’s happening around them. It’s an important reminder of why you have to inherently understand (and accept) the ins and outs of a community and how they behave and interact online before opening up a space directed at them. What happened here was predictable (fandom being fandom); and yet, the closure was still credited to user activity getting beyond what the Pottermore team could manage. The fan social networks which have succeeded tend to be segmented, or directed at a particular niche; MuggleNet is an excellent example, with different areas available for different kinds of discussion (they’re so successful, in fact, that they make thousands of dollars in advertising revenue each year). If you’re thinking of creating your own, fandom-based social network, it’s worth investing in software that will allow you to add features as your community evolves, and build it in a way that works *with* fan culture, rather than trying to restrain it. Samantha van Vleet owns Cassava Shop, an organic non-GMO herbal supplement company based out of the United States. 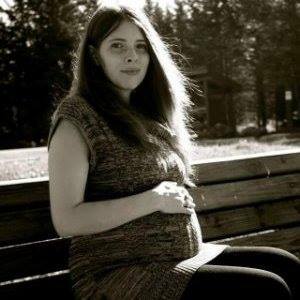 She also owns TTCTwins, a semi-private forum/network for people trying to conceive twins. Her company is a great example of how niche social networks can benefit small business owners, and even create business opportunities; we interviewed her about her experience running a niche network, and how it gave rise to a very successful online business. Tell me a little bit about TTCTwins; why you started it, where it came from. I have been fascinated with twins from the time I was little. I had a set of Cabbage Patch twin dolls and I always had them. I dragged them everywhere. Once I got older, I still thought the idea of twins was amazing. I looked online for places that discussed it, but there really weren’t many and the places that were available, weren’t so friendly. Women would be attacked and vilified for wanting twins because of the potential health risks involved and “no one should want that for themselves or their babies.” Yes, there are risks involved in having twins, but the decision to try for twins isn’t anyone but the couple who is trying’s. So in 2009 I decided to set up a simple forum and I posted the link two or three places. It grew insanely fast and quickly became the authority on the subject, simply because there was no other site dedicated to the subject. It became a safe haven for these women who wanted twins to find information, support and assistance without being judged for that desire. Why did you decide to start your own membership site, rather than using existing social networks (eg, Facebook groups)? For the same reason I was avoiding the other sites; the judgement and condemnation of choosing to try for twins. By creating a membership based site, you give members the ability to protect their privacy and conceal their identity much more so than they would be able to on Facebook. And with such a delicate subject, this is important. I wouldn’t want to post on Facebook under my full name, about my attempts to conceive twins where my family or friends could easily stumble upon it and identify me. How did TTCTwins become, or give rise to, Cassava Shop? Many of the women on TTCTwins were talking about yams increasing fertility. This sounded odd to me and a few members and I decided to research more on it. Turns out it was a very specific type of wild yam that had this twinning effect. A village in Africa had a twinning rate of 1 in 11 and it was believed to be due to the estrogen-like substances in the skins and peelings of sweet cassava, consumed daily by members of the tribe. Obviously, we all wanted some, however, at the time there was only one source for it. I had ordered a bottle, but it just seemed fishy to me. I started looking into it more and I just had an off feeling about it. I decided to make my own to see if it was even possible to replicate the powder in the capsules I had bought and still include the skins and peelings as advertised. There wasn’t. I later determined that those capsules were filled with gari, a cereal like product made from cassava that didn’t contain the beneficial skins and peelings. At first, I intended just to make them for myself, but when other members of the site learned about the gari in the other capsules, they were outraged. After all, who wants to take a supplement that doesn’t even contain the stuff it needs to work effectively? Members started asking me if I would make them a bottle as well. I agreed, and next thing I knew, I had emails nearly daily requesting bottles of sweet cassava supplements. My husband looked at me one day and asked “So, when are you turning this into a business? Do you think niche social networks are better for small business owners, or prospective small business owners, than the larger social networks? Absolutely. We use coupon codes to track where our sales are coming from (along with other tools) and I would say that 80% of our sales stem from TTCTwins. The reason is simple. We are the trusted authority. We have had competitors pop up since we started Cassava Shop, but they don’t have the advantage we do. We’re trusted. We’re the authority on the subject. We are the place everyone turns to for information on trying to conceive twins and one of the first results on Google. What advice would you give to someone looking to start up their own niche interest group or private social network online? Find something that isn’t out there yet and make it work. Focus in on a specific niche. Don’t be afraid of it being taboo or eccentric. Odds are, if you’re interested in it, there are surely other people who are too. 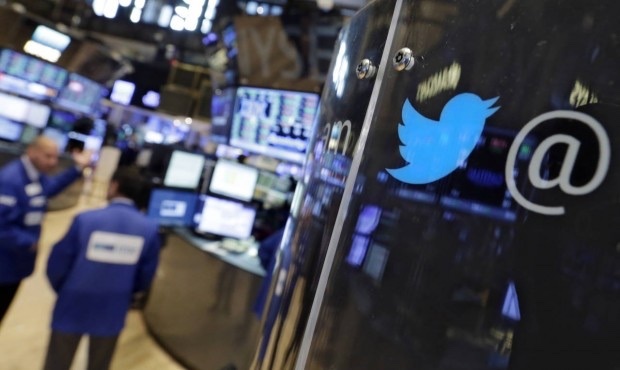 It’s been a busy week in the world of social networking, with more and more independent, smaller networks emerging, and all the major players taking a hit on the stock exchange. If you’re thinking about starting up your own social network or work in online advertising, here’s three news items you should be aware of. 1. Things haven’t been looking so great for major social networks on the stock market; even Facebook, which isn’t suffering from the same drop-off in sign-ups and activity as Twitter, Yelp and Linkedin wasn’t safe, dropping 2.6 percent. Facebook’s stockholders may simply have decided to cash in after the company’s stock reached record highs a few weeks ago, but it’s also been suggested that people have been spooked by their 82% rise in expenditure (hiring new staff, and investing in technologies that will bring the internet to remote parts of the world). By contrast, smaller social networks like Migme are having a fantastic run, with their shares showing continuous growth. 2. 18 percent of social networking site users have blocked, hidden, or unfriended someone for posting political articles and opinions they disagree with or find offensive. If you want to argue about politics and religion but don’t want to stir up trouble with colleagues or family, there’s two social networks just for you. Roust is an invitation-only social network for people who want a space to talk about important, hot-button issues in a space where lively, controversial debate is welcomed (encouraged!). They’ve introduced a dislike button, and the creator thinks it works well because people go in expecting strong, potentially unpopular opinions. Sean Parker, founder of Napster, has been working hard on an app called Brigade; this social network was designed to encourage Americans to engage with current events and political news. This is interesting because it shows that niche social networks can be as much about *how* we communicate (eg, providing a space for people who want to be able to share strong opinions or do everything via video), as they are about creating spaces for people with similar interests to come together. 3. They’re calling it “the right to wipe” – that social media users should be able to completely remove any trace of posts they made before they were 18. Social media vetting of prospective college students and employees is becoming increasingly common, and increasingly easy; some employers have even fired current employees based on what they posted on social media as a teen, years after the posts were made. It’s something that’s worth thinking about – should we be looking at encouraging teens to join smaller, less public social networks while they’re going through their formative years? It’s also important to consider, before admonishing young people for not thinking about how their posts could affect them later, that large social networks are collecting huge amounts of data about users, regardless of how careful they are about their privacy settings – and they aren’t particularly transparent about how they share that data, and who they’re sharing it with. PeepSo 1.0.1 BugFix release targets three very specific bugs that were reported right after the release of the stable version. We felt that these bugs could not wait for another major release. Our developers fixed them right away. 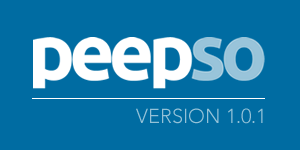 Please upgrade to the latest version of PeepSo through the backend of WordPress or by uploading a zip file in the backend of your site. Read more about the upgrades here and check out the changelog here. 52% of adults under 30 say they have a close friend they met online; 47% of adults over the age of 40 report the same. It’s the same way we’ve always made friends, but with greater scope; rather than overhearing someone at a party mention how much they love dogs or a particular TV show, we see them post about it on their blog – from anywhere in the world. Many find that their online connections become more genuine and deep than their “IRL” (in real life) connections- their online friends get the in-jokes, they want to talk about the same things. It would be easy to think of social networking as a new phenomenon (given that MySpace and Facebook both debuted in 2004), but software allowing people to connect, chat and share online has been around since the advent of the internet; message boards date back to around 1994, and online chat can be traced back as far as 1980. When Facebook made its debut it was just another niche interest group, dedicated to bringing together students from elite colleges; and it’s starting to revert back to that kind of communication with its Groups feature, where people are able to escape the noise of their newsfeed and talk to people, friends or strangers, about the things they really care about. Starting your own social network is easy, and it can be just as valuable for individuals as it is for businesses (even before you consider just how popular these networks can become, and opportunities for advertising revenue). It brings you together with people who care about the same things you do, who you can share ideas and thoughts with; it creates a space where people can foster important connections and form friendships. PeepSo Stable Release Is Out! The PeepSo 1.0.0 stable release is out now! It’s taken us more than a year and a half, a ton of effort and more coffee than you’d think a team of developers could absorb but it worked. The result is fantastic! We’ve already received some great feedback and some very warm press. It’s been great to see how excited the WordPress community is about PeepSo. @peepsowp looks cool. I'm loving the explosion in quality premium GPL licensed #WordPress plugins. Features for users, funds for authors! PeepSo’s core is absolutely free and it gives you a ton of features. You can download it here. 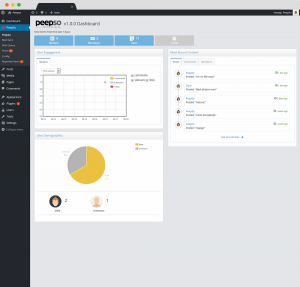 To enhance the functionality of PeepSo we created some powerful plugins that you’re going to love. PicSo will let your members share photos, FriendSo lets them add friends and VidSo gives their videos an audience. And that’s not all. You can see a full list here. Install PeepSo, and you’ll find a few pages already built for you. Inside those pages are shortcodes. To show the PeepSo main page on your site, you’ll just need to create a menu item to link to the Activity page. I recommend you replace the default “Welcome Image” with a picture that suits your community: a shot of a golfer for a golfing community, for example. Start making your PeepSo yours. PeepSo should work fine with almost every theme; we tested it with fifteen of the most popular themes and it looks great. Its design is also generic enough to work with almost any theme. If you want to make any changes to the look-and-feel, you can just tweak the CSS. Want to give some feedback? Bursting with ideas for PeepSo? Or just want to tell us how much you love our work and want to buy us all a big, cold beer? We have a great community where you can share with us and with others. We love meeting our users. It’s what makes PeepSo so awesome! We have already received interest from developers for creating PeepSo plugins. If you’re interested too, you can learn more about our developer program here. The changelog for PeepSo core and its supporting plugins is available on this page. Our road map shows exactly what we are planning for the future. It’s a lot of work but we aim to have a new release every two to four weeks. You can expect some new features soon! Thank you for being an early adopter! I know it’s hard to trust a new product. But we’re not a new team. We’ve been creating great products for ten years, including JomSocial which does for Joomla what PeepSo does on WordPress. We know exactly what it takes to create awesome social networking plugins. 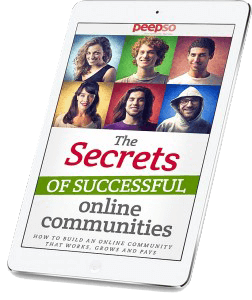 I hope you’ll give PeepSo a try, be an early adopter — and then become a raving evangelist! The saying goes, “are we on the same page?” Meaning: do we understand each other, is everything clear, has everyone learned what they need to know so progress can be made. It’s an ideal metaphor for good communication, particularly when applied to web pages; if all your colleagues and customers are scattered across different platforms and channels, it’s going to be much more difficult to ensure people are getting the information you need them to get, when you need them to get it. Creating your own social network saves you from having to post the same message, over and over. You can have a real conversation in a quiet, dedicated space, rather than participating in the online equivalent of shouting in a crowded room. It works better from the customer’s end, too: rather than being unsure whether they should inbox you, text you, tweet you, send you a carrier pigeon, etc to get in touch with you, they’ll have a central communication hub where they know they’ll be able to get the support and advice they need. Further, it’s all on your website; the same place they’d go to purchase your product(s). 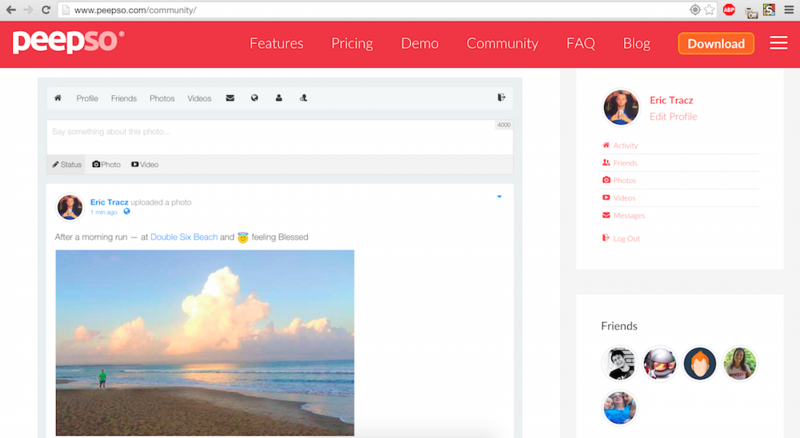 PeepSo is the ideal plugin if you’re looking to start your own social network; it’s clean, streamlined, and easy to use (no coding knowledge necessary). The admin interface will be of particular interest to business owners, as it allows you a huge amount of control and insight (similar information to Facebook’s Insights tool, but easier to read and interpret); you can track post engagements, check reported content (you decide what’s acceptable, not Facebook), check your member demographics, and much more. All of your information and communication in one place. Simple, smart, and effective. Last week, we talked about Christian niche social networking site Facegloria, and how it stands as proof that people are looking for a smaller, more streamlined social networking experience. 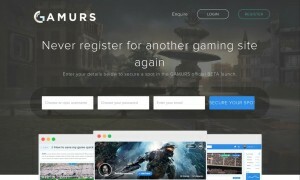 Gamurs, a social networking site for gamers, is yet another success story; since launching around three weeks ago, they’ve attracted over 6,000 members (by comparison, Facebook gained 150,000 members in its first four months). Gamurs: another niche social network success story. It’s intended to be a one-stop-shop for everything gaming; a place where members can find news, share with like-minded people, and talk about different games and platforms all in one place (filling a major market gap; existing offerings tend to focus on one platform or game). Most of their revenue so far has been raised through seed funding, but further down the line they’ll be looking at partnerships with developers and offering premium subscriptions. Again, this is a great example of why we shouldn’t think of sites like Facebook and Twitter as the be-all and end-all of social networking; there’s a clear demand for a new kind of social networking experience, and sites like Facegloria and Gamurs are capitalising on it. PeepSo can turn any site into a social network, opening up this experience and opportunity to everyone with a WordPress site; the possibilities are as endless as your imagination. In an article he wrote for TechCrunch last month, James Currier looked at the rise of market networking software; software that provides an intersection between online marketplaces (sites like Etsy, eBay and AirBnB which allow multiple buyers to connect with multiple sellers), and social networking sites (sites like Facebook, MySpace and Twitter, which emulate our offline social networks and are based around identity); he provides HoneyBook as an example, a market network for the events industry which allows professionals to connect around projects and keep all of that project’s transactions and paperwork in one place. 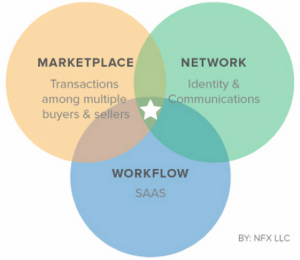 Currier suggests that these market networks have an edge over simple online marketplaces – and I would add, websites with selling capabilities – as they encourage a connection more meaningful and long-term than a simple transaction. They emulate how business happens in real life: the networks of professionals and clients which pop up on these sites often begin with people who have been communicating for years inviting each other to the site, and creating an online version of a network that already exists via fax, phone, invoices, etc. Installing PeepSo on your website is the first step to creating your own market network. It allows you to bring all your professional connections together in one place and introduce them to each other. You can tell people about a new product and send them to the checkout page, with them staying on your site the entire time. You can build meaningful online connections within the parameters you want to set for them, eliminating the blurring between personal and professional that Facebook doesn’t just enable, but enforces (you have to have a personal account, for example, to use their Business Manager tool). Marketing networks are the next step in successful online business, and PeepSo has everything you need to get started. Posts on social networking sites can be like feathers in the wind; you never know just how far they’ll spread. 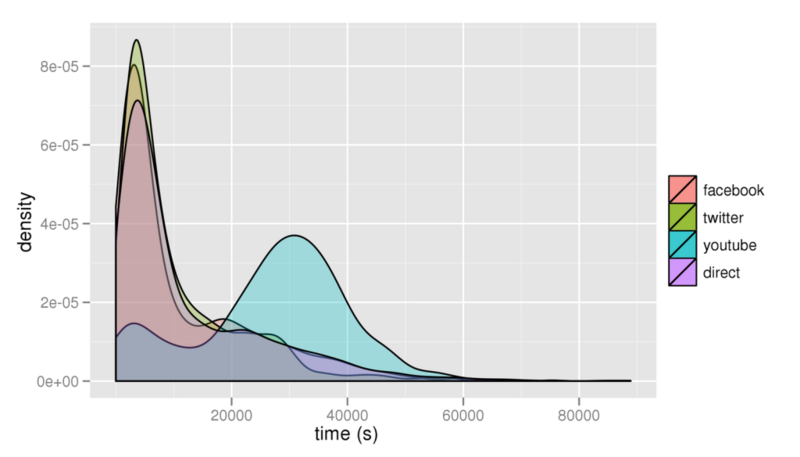 A simple share or like by an influential person or page can take a post that’s months old, and turn it viral; but for most posts, according to a study done by Bitly, they have about three hours to get their message across before they disappear (interestingly, YouTube is anomalous here; links shared from YouTube tend to last around seven hours before fading away). 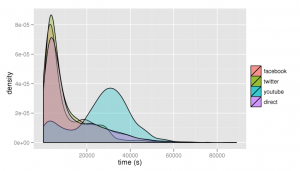 A graph showing the shelf life of a Bitly post. If you’re sending out an important message about your business, that leaves you with two options (or three, if you consider posting your message as a YouTube video an option): pay to boost your post, or keep reposting your message again and again to try and reach as many people as possible. As a small business, it can be near impossible to make your voice heard over discriminatory algorithms and the noise of an endlessly refreshing newsfeed. Having your own social network increases the shelf life of your posts drastically – there’s just not as much to compete with. It helps you to ensure that your messages are getting to the people who care about your business, and what you’re doing – without having to pay extra.